Customer Satisfaction is Our Mission. We will be here tomorrow to stand behind what we built today. With more than 20 years of experience and dedication to the local community, C Property Restoration, Roofing, and Remodeling is a full-service provider of roofing installations, repairs, and maintenance; window and gutter installation; insulation; drywall; exterior and siding repair; and interior and exterior house painting. To learn more about the services we provide and to receive a no-obligation estimate, please give us a call today! When your home needs professional repair or restoration services, trust C Property Restoration, Roofing, and Remodeling to deliver superior workmanship to customers throughout our communities! Whether you need someone to remedy hail damage to your siding or you’re looking for a roofing company in Aurora, CO to re-roof your home. C Property Restoration, Roofing, and Remodeling specializes in exterior services—including roofing, gutters, siding, windows, fencing and more—we can also adeptly tackle interior projects as well. Give us a call for drywall, flooring, countertops, insulation and anything else your home might need. We’re a locally-owned and –operated family business, proud to serve homeowners throughout our Colorado communities. 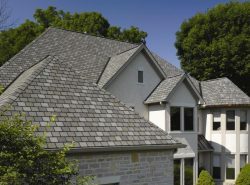 We offer 5-year and 10-year warranties and guarantees on all of our roofing work. Our business is accredited with the Better Business Bureau (BBB). Contact us today for a free, no-obligation estimate on services! If you need superior restoration services, provided by a company you can trust and skilled workers, waste no time in contacting us today for a free, no-obligation quote! January 24, 2019 Janine K.
"I highly recommend Scott and C Property Restoration. I am a Realtor and always feel comfortable referring them for roofing and other repairs..."
"Kevin, Scott and team were a pleasure to work with. They were very detailed in the work that would be done, and flexible with my questions a..."
"Kevin and his team were amazing! Prompt, clean, courteous and very true to his word! He worked with our insurance company and took all the h..."
"I highly recommend the team at C Property Restoration. I have used them for three different roofs, and gutters/downspouts twice. Each and ev..."
"Extremely happy with the repairs on our home! Thank you and your team!!"